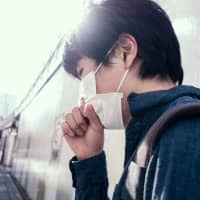 Just as new blooms mark the arrival of spring, we know it’s hay fever season in Japan thanks to an uptick in face masks. Like anyone who comes to Japan, I’ve flirted with the mask myself on occasion, but never really made a commitment. For me, it was always a gesture of goodwill, showing respect for local customs, whether I believe in them or not. Like clapping and bowing at a shrine — I feel authentic doing it, even if I don’t really believe it will help. The face mask never bothered me until I actually came down with the flu. First with a case of “fake flu” (aka the common cold), then with an even more severe case of “real flu” (aka influenza A). My doctor and my wife urged me to never take off the mask, not even when I was at home alone, for the sake of my family. This proved harder than I thought. When my confined breath fogged up my glasses, which was pretty much every time I left the house, I got mild bouts of claustrophobia. Unable to see clearly, I also became a road risk: Instead of guiding my daughter to preschool every morning, she had to guide me, leaving me helpless when I had to find the way home on my own. My ears bore the brunt of the pain, though. I never considered mine particularly sensitive, yet the gradual grind from the mask’s elastic straps at the point where the ear meets the head became unbearable. I also came across articles debating whether face masks were all that effective, and a lot of the skepticism isn’t completely unfounded — if you’re stuck in the past, that is. For the longest time, Western medical experts doubted a mask’s ability to prevent the spread of viruses. More recent studies, however, have proven the opposite. 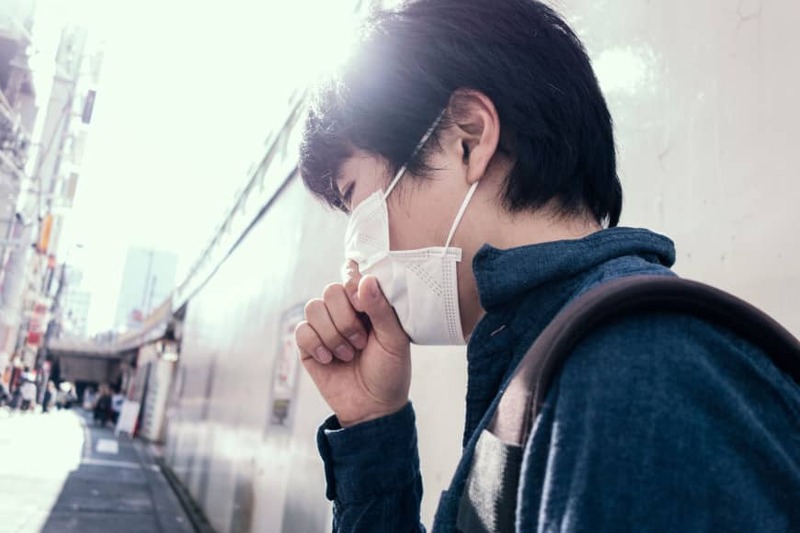 In 2008, a study published in the International Journal of Infectious Diseases concluded that people exposed to flu viruses were 80 percent less likely to catch the illness when wearing a mask in the proper way. Other studies put the effectiveness closer to 70 percent and point out that you also have to wash your hands regularly (naturally). Sadly, I couldn’t find a single study that concluded: “Nah, do your delicate ears a favor and get rid of that entirely useless thing.” I couldn’t even find a cabal of conspiracy theorists blaming the craze on some mighty mask lobby. “Big mask,” anyone? Some of my non-Japanese friends have told me prescription medication in Japan is weak, hinting that the dosages might be too low. I have no idea if any of the up to 20 pills I was told to take daily made the flu go away any quicker, but it appears they at least made the time in bed more interesting. After a couple of days, I was sitting up, pen in hand, scribbling away in my Rollbahn notebook (Moleskin is for posers — and I am not a poser as you’ll see in the following glimpse into my process). “What are you writing?” my wife asked. “You should rest,” she said. Eventually, the flu dissipated, and the mask came off. I was free again to walk the streets, to be myself, just wearing the mask of skin and character I have molded for myself over decades. What a relief to wear the mask you choose to wear, not the one you are told to wear.